This style is known as a ‘tufted’ headboard. It is deeply and firmly padded, with buttons that are fixed to the backboard. While it is a traditional style, the tufted headboard has made a big comeback in recent years. It works with both contemporary and heritage decors. 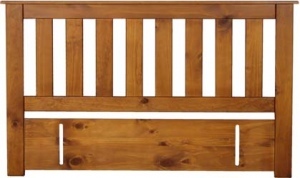 Available in a choice of colours, our Fendalton headboard provides comfortable back and head support when you’re sitting up in bed reading, eating breakfast or watching TV. Bolt slots are perfectly positioned for easy attachment to your bed base.